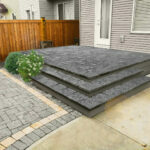 The STONEDECKS products were conceived after over 20 years of installing and maintaining decks. 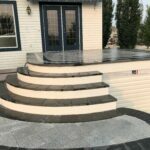 Frustration with how everyday use caused decks to look terrible after just a few years inspired us to create a much better deck solution: STONEDECKS products. 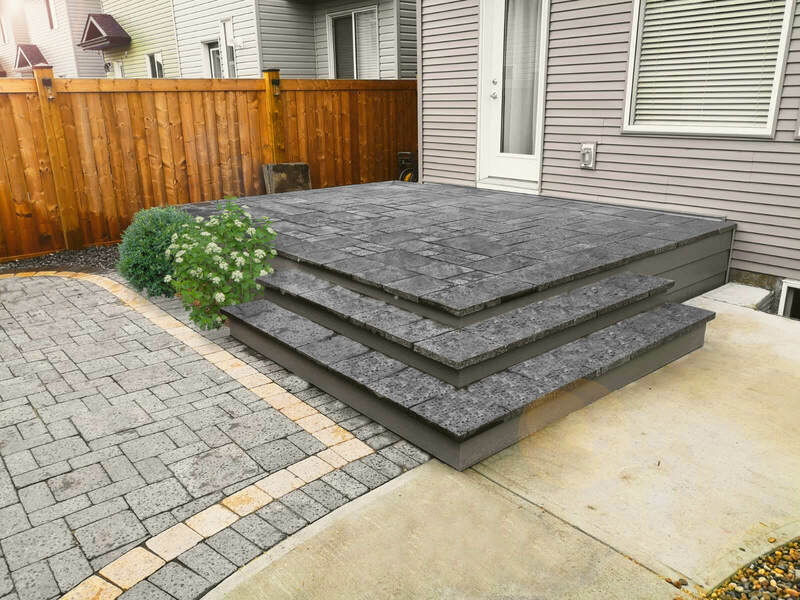 My thought was that clients who are spending extra on a low maintenance composite decks only for it to look ugly in under a decade is simply not acceptable. While building a composite deck for a client I was finishing the project only to realize that a small pebble in my boot had scratched a composite board leading to a need to quickly replace it before showing and delivering the final results to my client. I thought that there must be a better way to produce decks for clients that would stand up to regular daily wear and tear. 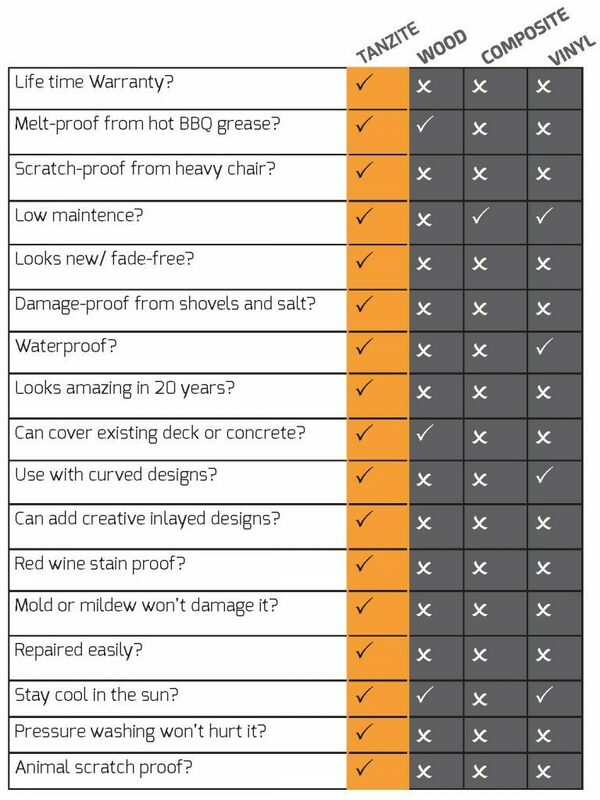 Delivering decks that would not scratch or weather quickly yet are easily cleaned is how STONEDECKS products were born. I started with a prototype that we refined over three years through rigorous research, development, testing and client feedback. 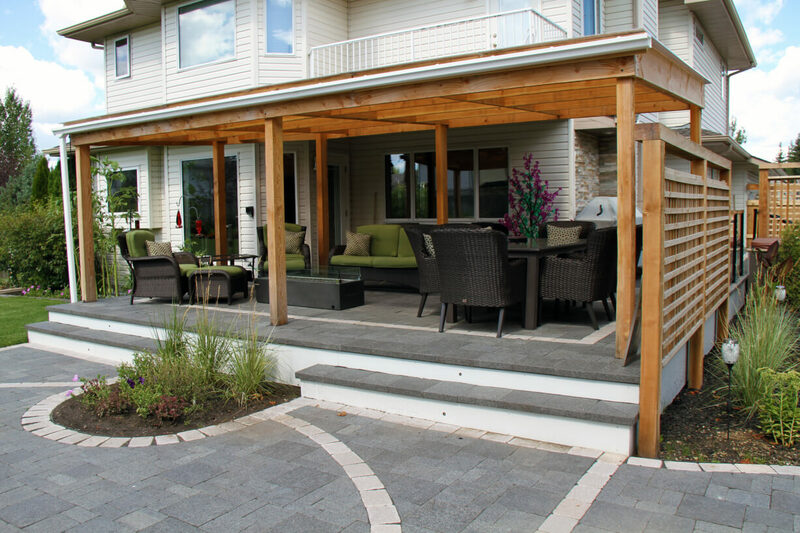 The final result is a patent pending decking approach that could be installed without spending more than you would on a composite deck, yet could be enjoyed for many decades requiring very low maintenance. Like man-made diamonds that are made flawless using extreme heat and pressure; Tanzite is similar. Using incredible heat and pressure, we are able to make Tanzite stone without the flaws, or the cost of natural stone. 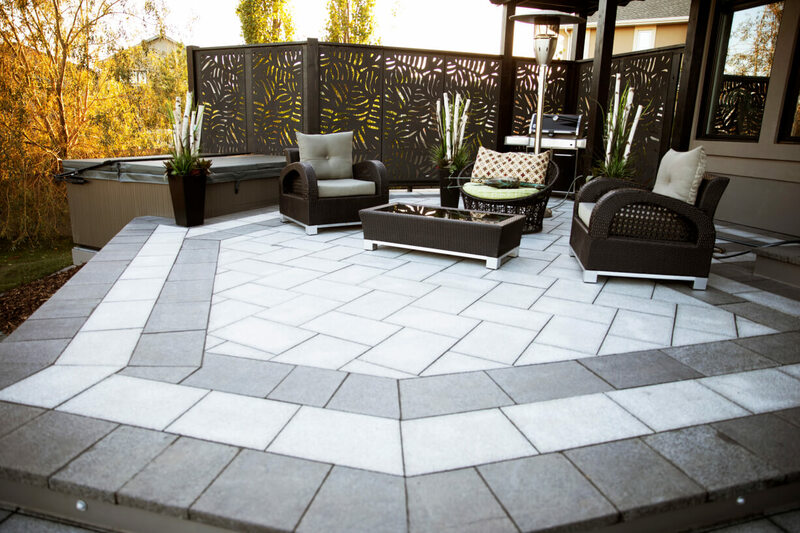 Tanzite gives you the perfect stone tile with the perfect color that will last in the harsh outdoors for a lifetime! Tanzite Stonedecks are built on the same basic structure as any other deck. 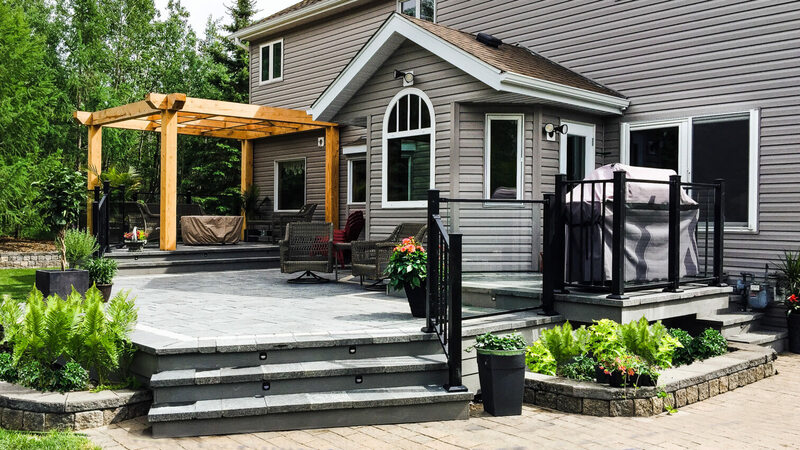 Tanzite costs about the same and the installation time is similar to other low maintenance decking options (like composite decking). This allows for labor costs to not be considerably different; keeping your overall investment similar. Have you ever seen a 20 year old deck that still looks amazing? 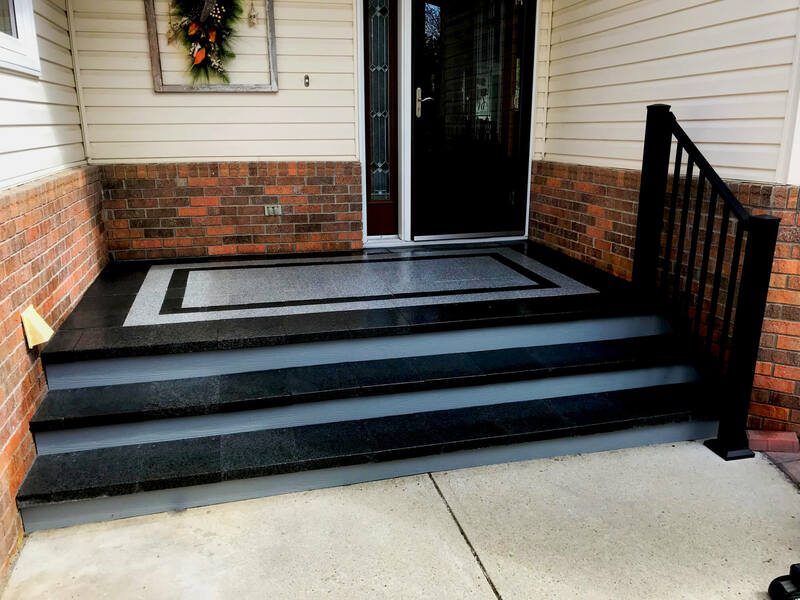 Costs such as replacing scratched boards, replacement of stained areas or of the entire deck (because it looks terrible), makes lifetime guaranteed TANZITE STONEDECKS the least expensive, lowest maintenance, and ultimately the best value for your money (even when purchasing a new deck). 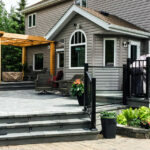 You can easily convert a wood deck into a STONEDECK with little effort once constructed. 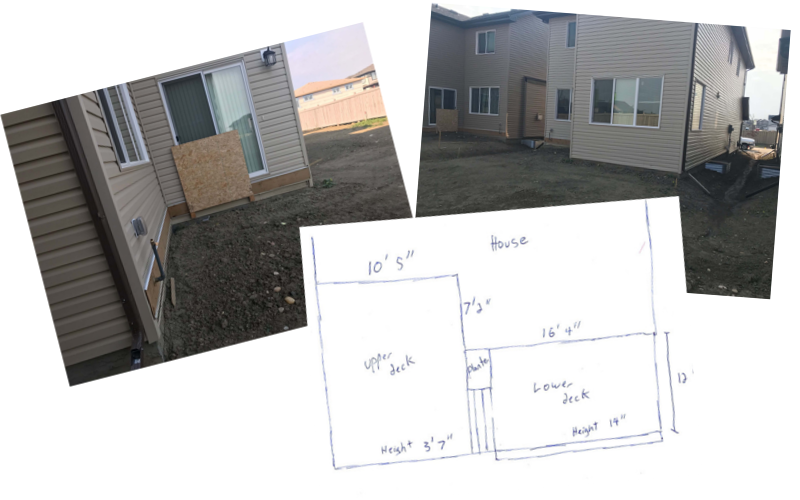 Simply build a wood deck just like you would normally, except that you leave an inch clearance and put a 1% slope to it. 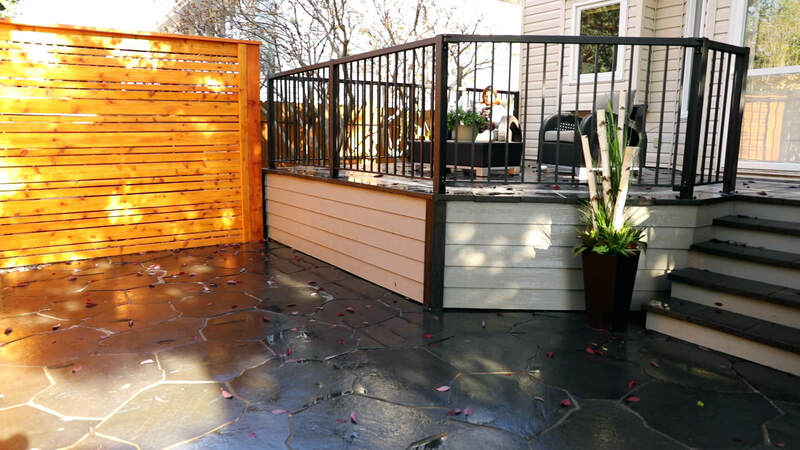 Then enjoy your wood deck for a couple of years until it comes time to stain it, and rather than staining it you could cover it with some water protection and then with STONEDECK. 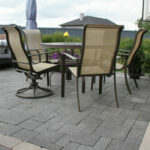 This gives you the opportunity to update and upgrade to a STONEDECK years after a traditional wood one has been built. 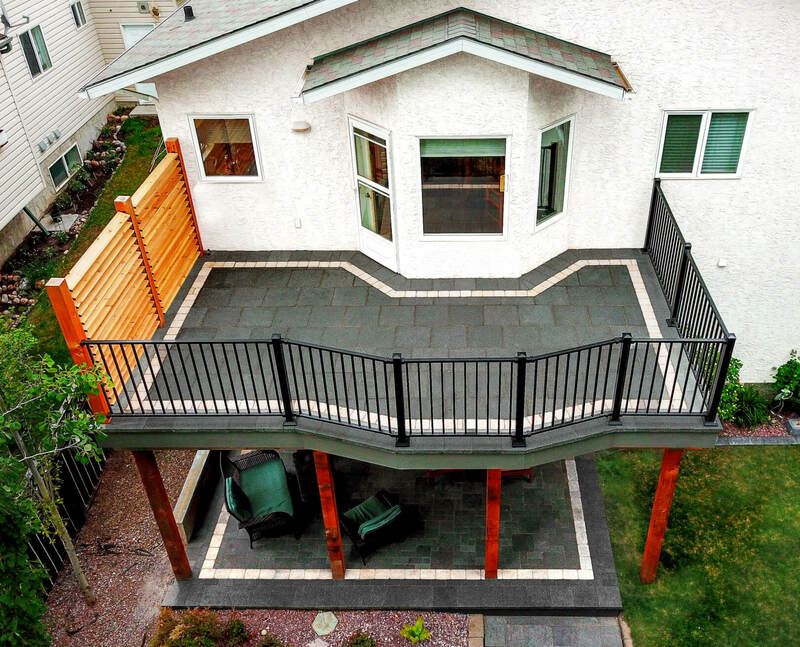 There is no other decking system that offers this level of flexibility in construction. 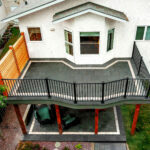 Rooftop decking is becoming more popular while the installation options are somewhat limited. 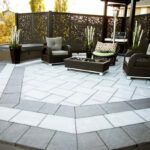 A common way rooftop stone patios have been constructed is to install pedestals that then have to be leveled, and then float above the roof surface. 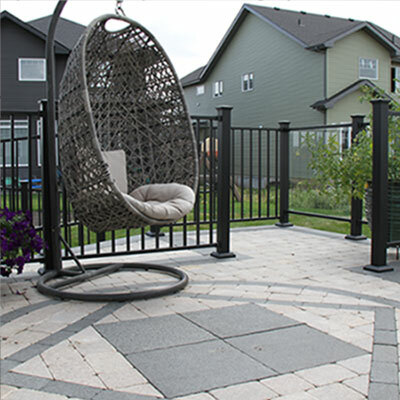 However, this common approach can cause issues with weight limits when adding planting gardens, rock gardens, railing installation, etc… In many cases, TANZITE STONEDECK can be placed directly on the roof surface. This solves these issues and problems with pedestals, complicated installation, and can it reduce costs. 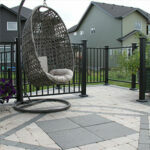 TANZITE STONEDECK patios & walkways look amazing and lasts a lifetime! 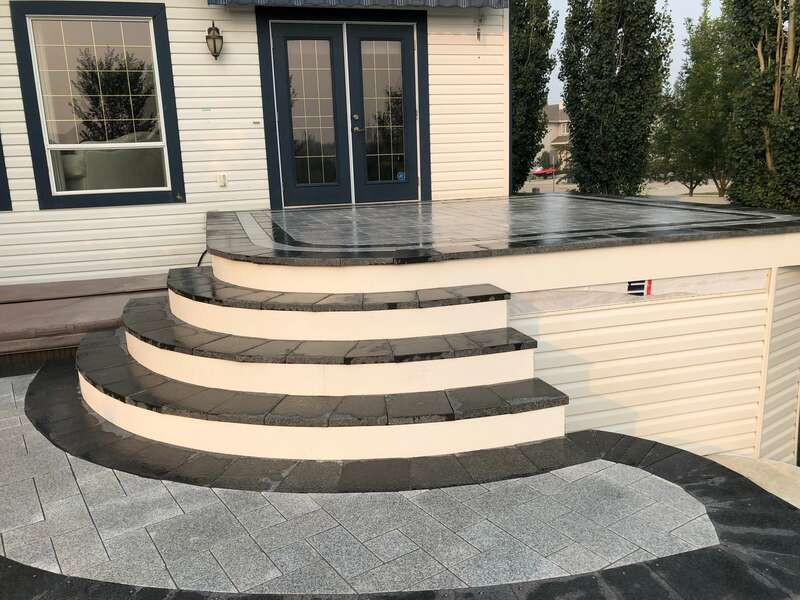 Comparable to concrete and paving stones (which will discolor, fade, suffer abrasive wear, and stain over time), STONEDECK products are warranted for a lifetime providing significant longevity that stays looking amazing! 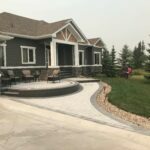 Want to see how a STONEDECK will look on your house? 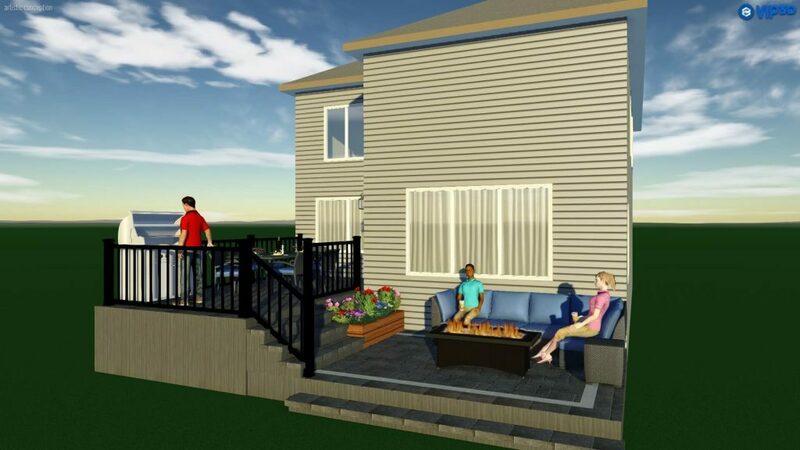 Email sales@caldek.com with a few pictures of your backyard, and a drawing on your desired deck, and we will provide you with a 3D rendering of how your patio could look! 9/10 Review on Homestars.com - Dealt with Marc in the initial stages, very professional, good to deal with and seemed knowledgeable (their competition wanted 100% payment upfront, Marc was much more reasonable to deal with). Spencer and Rick came to do the install, and put a long day in to get everything wrapped up in the one day. The installation was done very well with great attention to detail. They identified one problem that required some extra labour, which I authorized up to a certain amount, and the extra charge came in roughly half of what was authorized. I would do business with them again. 9/10 Review on Homestars.com - We had a tear in our third storey decking which happened to be over two bedrooms. Because of this and possible water damage we were put on priority to finish the job ASAP. 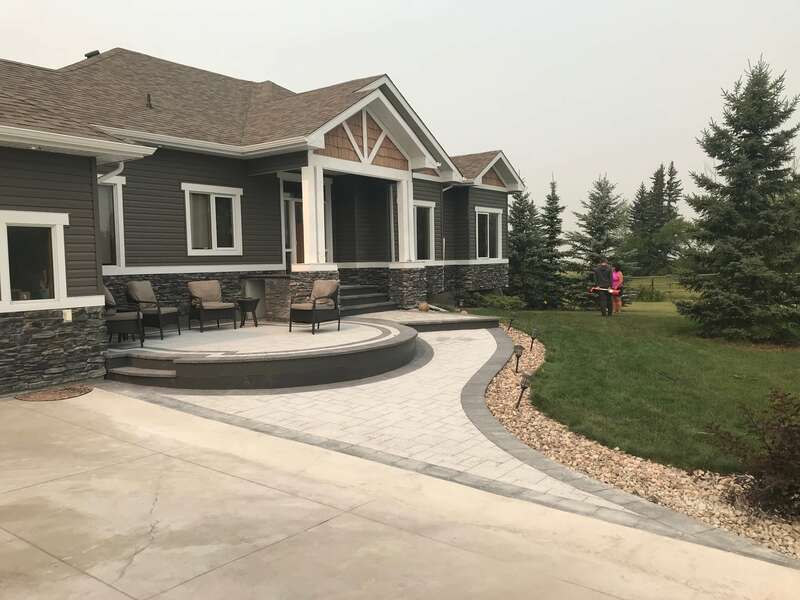 Of course weather in Calgary (summer 2016) wasn't exactly cooperative, but Caldek did the under deck repairs, put on a temporary patch and replaced the Duradek as soon as the weather cleared up. Cost seemed a bit high, but overall I was happy with their work and the results! 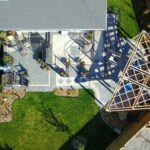 10/10 Review on Homestars.com - "All work was finished on time. Any small items were attended to immediately. The installers were very professional and coordinating with Brian in the main office was very efficient. 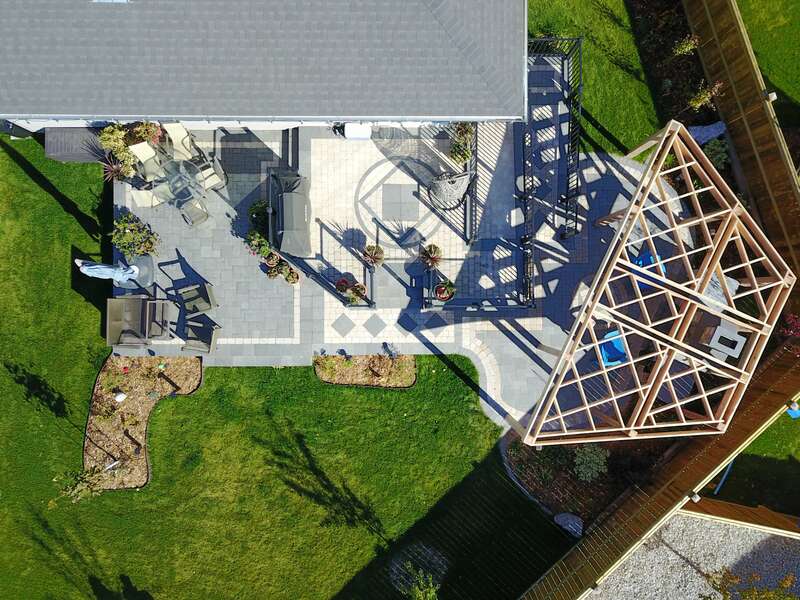 Brian contacted us upon completion of the project to see if there were any remaining issues to be looked after. 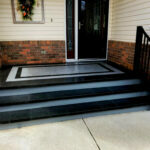 Very satisfied with the workmanship and quality of the products used." 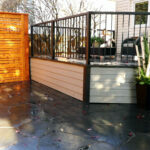 We had Caldek install Duradek on our backyard deck. From the estimate to the installation, everything was great. They were professional and provided a very competitive rate and did the job in a timely manner. The installers did a fantastic job and we are VERY HAPPY with our deck. We highly recommend the folks at Caldek. QUOTE INFORMATION: Once you have submitted your quote question, a Caldek representative will contact you to set a date and time for your on-site free estimate. All of our estimators are highly experienced with many years of project management and design. Thank you for your interest in Caldek Sundeck Systems.